Founded in 2008, eMudhra, a licensed Certifying Authority and Trust Service Provider, has positioned itself uniquely to address the needs of enterprises for secure digital transformation of their businesses. “Having started out as a digital signature provider 10 years ago, the team has paved a unique path into becoming India’s leading enabler of Secure Digital Transformation” says the Chairman, V. Srinivasan. eMudhra is a key partner in several Digital India initiatives and is at the forefront of secure Digital Transformation in India. Through its headquarters in Bangalore, India and offices in Singapore, Dubai, Malaysia and the US, eMudhra works with over 400 large enterprises including 45 banks to deploy proprietary solutions around paperless office, Identity and Access Management, Public Key Infrastructure, Predictive Analytics and Blockchain. There was and still is a need for organizations and governments to evolve in the way they manage digital identities and conduct sensitive digital transactions on the basis of such trusted identities. To this end, eMudhra has been one of the first Certifying Authorities with the ability to issue digital signatures to the public in India. Till date, the company has issued in excess of 40 million digital signatures to customers in India. Over the past decade, eMudhra has come a long way from issuing digital signatures (digital identities) to building an ecosystem around utilizing such signatures to achieve milestones in eGovernment initiatives, Banking, Education, and more. “Over the years, we have developed a strong team and solution stack that enables a wide range of use cases ranging from subsidy disbursement in rural India to issuance of fool-proof digital Diplomas in Latin America. Facilitating such a wide range of use cases requires strong, versatile, robust, and scalable solution stack that rely on cryptography to ensure confidentiality & integrity of data in addition to validation of digital identities. To this end, we have built a solution stack that comprises of Digital Signature Issuance (emCA), Identity and Access Management (emAS), and Paperless Office (emSigner). Our R&D division constantly focuses on new technologies that can supplement our offerings such as Blockchain platforms, Trusted IoT ecosystems, and more,” elaborates Mr. Srinivasan. The company focuses on solving the ‘Identity’ problem in the Digital world. The core value proposition is focused on helping society establish trusted forms of digital identity for each person transacting in the digital world. This involves identification of the physical person, issuance of a cryptographic key that is unique to this person, and validation of this key using various technologies and methodologies to help third party entities trust this identity. On a broader perspective, digital identity would have carried no value if there were no use cases for such identities in the market. Hence, an ancillary problem that this company helps in addressing focuses on using such identities to reduce costs, increase convenience and improve efficiency of various processes across Public and Private sectors. Enabling go-green initiatives through paperless communication in customer on boarding processes, internal organizational processes, recruitment processes, citizen services, etc. Reducing document fraud such as diploma fraud, recruitment fraud, and more. Enabling transparency and accountability in subsidy disbursements. 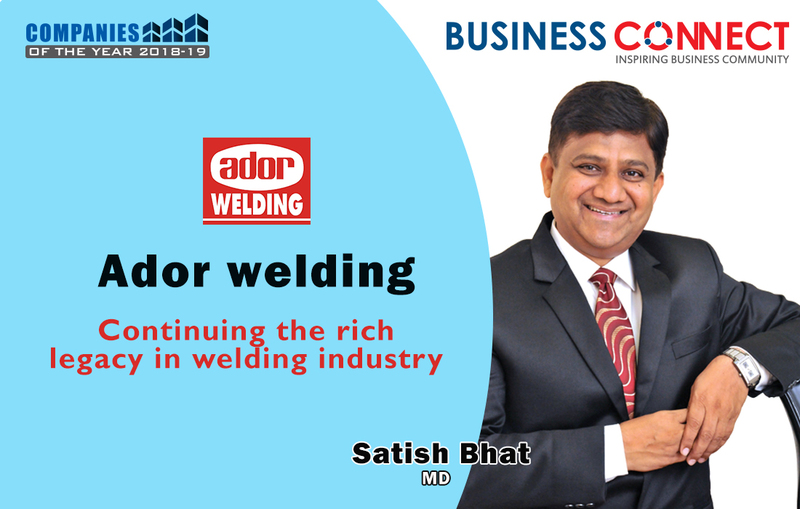 “Our current business model is two-pronged. We have a retail side of the business focused on selling digital signatures to individuals in the market. Here, we go by transactional pricing that varies depending on the specific type of digital signature and the duration of validity of such signatures,” explains Mr. Srinivasan. On the enterprise side of their business, which is primarily oriented at larger organizations, eMudhra’s pricing model is more bespoke in nature and ranges from one-time charges to recurring charges and anything in between keeping in mind the customer’s preferences and constraints. At the end of the day, customer satisfaction and happiness is what matters the most! Technology has been the key to eMudhra’s success. 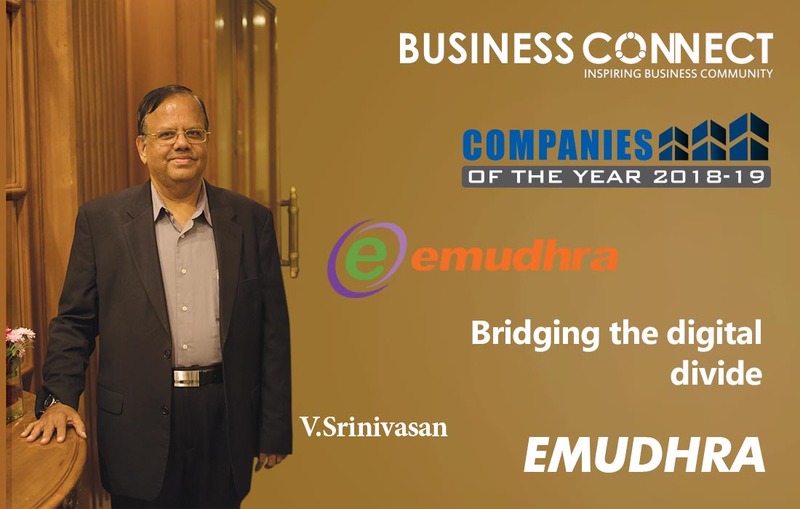 Over the past decade, eMudhra has successfully evolved from a digital signature service provider to a formidable digital transformation enabler, primarily because of their unwavering focus on building proprietary technology solutions that specifically cater to the public and private sector at large. The versatility of their applications, focus on R&D, consistency of support, and innovation of work force have been the biggest success factors that have powered eMudhra’s growth. Further, the synergies of solution stack and digital signature service has given them the unique ability to offer end-to-end solutions, which has allowed eMudhra to compete in ways far superior than its competitors. Over the years, eMudhra has evolved their solution stack and offerings to enable significant enhancement of the present digital ecosystem. Going forward, eMudhra is focusing on new business models around their offerings, which will enable greater levels of mobility without compromising security. Specifically, eMudhra is looking at cloud PKI, mobile PKI that would allow their customers to use digital signatures anywhere, anytime, easily. On the enterprise side of business, eMudhra is focusing on extending their solution ecosystems through integrations with popular systems that are already in use by many organizations. On the technical front, eMudhra has built emAS, an IAM platform, which supports 15 factors of authentication, including adaptive authentication and enhanced Single Sign On that are compatible with multiple protocols widely in use globally. On their paperless office solution, emSigner, eMudhra has extended offerings to not only include workflow management, but also document authenticity validation (to reduce document fraud), DMS, OCR, and other such features that organizations would generally desire to complement their digital workflow systems. Strategically, as awareness of such solutions are rising in the market, one of the main areas of growth for the next year lies in SMEs implementing these solutions. eMudhra has certain strategic internal initiatives around emSigner, the paperless office solution, to effectively cater to the requirements of this segment in the coming years. eMudhra has already embarked on this journey and has built a channel network of 100+ partners across 38 countries. “eMudhra’s plan is to cover International markets and become a global entity with Indian roots,” concludes Mr. Srinivasan.